Browsing through the CDs in my local Tesco store I noticed one priced at £1. Which seemed too good a bargain to miss. It turned out to be a single CD released by Tesco to raise money for its two main charities: The British Heart Foundation, and Diabetes UK. Both those mean something to me so it had to go in my basket. The CD is by a family called the Neales who appeared on a TV talent show, obviously a father and his sons. Is it any good? Well it’s not my cup of tea but that’s because I thought it might be a cover of the fabulous Four Tops song. But judge for yourself -after you’ve put for your hand in your pocket for a measly £1. It’s for good causes! I’ve posted before about food waste and the efforts made by some supermarkets to do something about it from selling wonky vegetables to donating to food banks. Here’s Tesco‘s commitment (spotted in my local branch in Burnley, Lancashire) to a worthwhile cause in collaboration with Irish social enterprise FareshareFoodCloud. Last week it was reported in the press that Tesco was not donating ALL of the 5p it charges for carrier bags to charity. They were keeping some of it back to cover expenses- which they are entitled to do for training staff and changing the till system but not the actual cost of the bags. However other supermarkets such as Waitrose, Morrisons, Asda, were passing on all of the 5p (less VAT) to charities. Obviously not a good PR move for Tesco. So this weekend my local Tesco started giving out tokens at the checkouts which customers can use to vote for the community charity they want the store to support. Asda has been doing this for years by the way. And today it was reported that Sainsbury’s are getting round the charity donation by replacing their usual thin bags with re-usable bags and using some of the 5p to cover their cost (which is allowed as the law only applies to single use bags). There is a growing furore and incredulity at the behaviour of Camila Batmanghelidjh over the closure of Kids Company, which she presided over as Chief Executive until being asked to “step down” recently. She has conducted interviews with virtually every radio and TV station in the last 48 hours and the simple message she has put out is that the closure of Kids Company is nothing to do with her, she is not to blame and has taken aim at anything and anyone to try and shift the attention from herself. 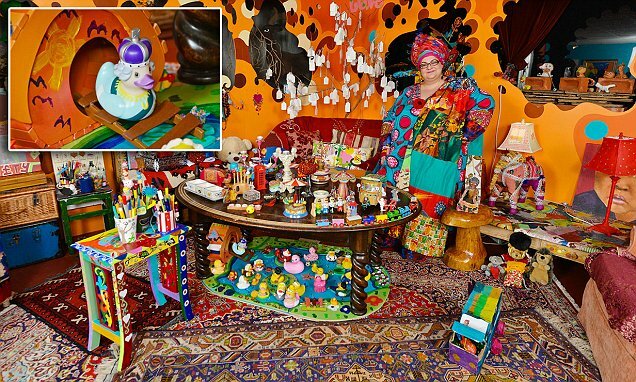 Camila Batmanghelidjh in her “office” in South East London.